Originally posted: July 30, 2018 . Last modified: August 25, 2018 . 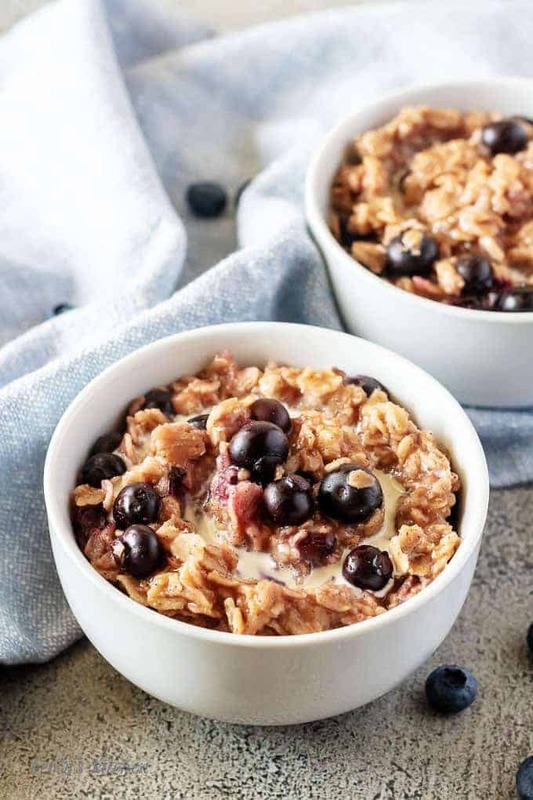 A sweet, simple homemade blueberry oatmeal for two loaded with fresh berries and seasoned with hints of cinnamon and vanilla. There are mornings when you wake up and want something a little sweet for breakfast. Now, most us would simply reach for a doughnut or sugary breakfast cereal. To me, meals like that are sugar “over-kill.” So, when I’m craving a sweet treat to start my day, I make my homemade blueberry oatmeal. It only takes about 15-minutes from start to finish and it’s sure to satisfy that sugar fix without sending your body into overload. With that being said, the recipe calls for 3-tablespoons of brown sugar and a teaspoon of ground cinnamon. Feel free to adjust the recipe to suit your tastes. Additionally, checkout the tips section below for some ideas on changing the original formula. First, start with a medium saucepan over high heat, combine the sea salt and water and bring the mixture to a boil. This usually takes less than 5-minutes. While the water is boiling, wash your blueberries and grab the rest of the ingredients. Next, reduce the heat to medium and add the oats, ground cinnamon, brown sugar, and blueberries. At this point, I feel it’s okay to dump all the ingredients together into the pan. 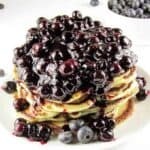 If you don’t like cooked fruit, hold out the blueberries, and then checkout the tips below on how to avoid cooking the berries. Then, stir everything together and let the oatmeal cook for 4-6 minutes or until done. The cook time might vary based on your preferences for oatmeal texture. For example, Kim likes her oatmeal to be a little drier than most. She lets it cook longer than I do when I’m preparing the dish. Last, remove the pan from the heat and stir in the vanilla extract. Traditionally, I don’t cook the vanilla extract with oatmeal. For some reason, when heated, it leaves a strange aftertaste in my mouth. Afterwards, scoop the oatmeal into your bowls for serving and drizzle the heavy cream over the finished blueberry oatmeal. It’s now ready to enjoy! 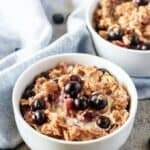 For other great breakfast recipes, don’t forget to check out our Strawberries and Cream Oatmeal or our Make Ahead Breakfast Burritos. 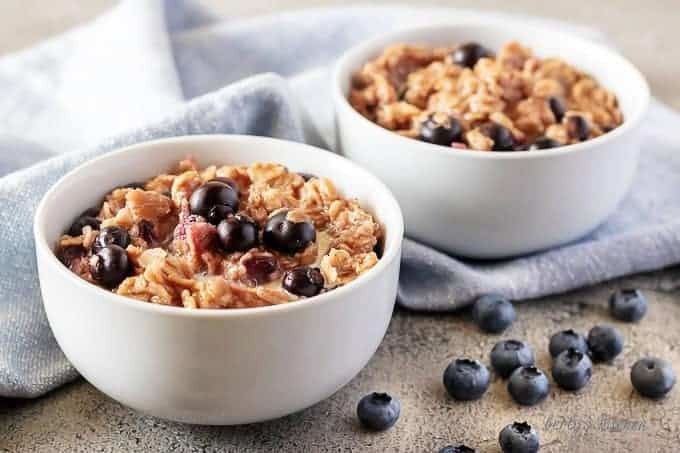 If you like this homemade blueberry oatmeal recipe, please leave us a comment and rate the recipe card. You can also find us on Facebook, Pinterest, Twitter and Instagram searching for Berly’s Kitchen! Some people enjoy a dash of nutmeg sprinkled over the dish once it’s ready to serve. Depending on your texture preferences, feel free to cook the oatmeal a little longer or reduce the amount of water in the recipe. If you don’t care for cooked blueberries, hold them till the end and stir the berries in with vanilla extract. Also, go ahead experiment with different fruits, like bananas, pineapples, or strawberries. How Do You Make Oatmeal Creamy? Like creamy oatmeal? Add some extra milk. It can be whole, 2%, skim, almond, coconut, or soy milk. Any kind of milk that you like will work. You can add the milk after the oatmeal finishes cooking or even substitute the water for milk. 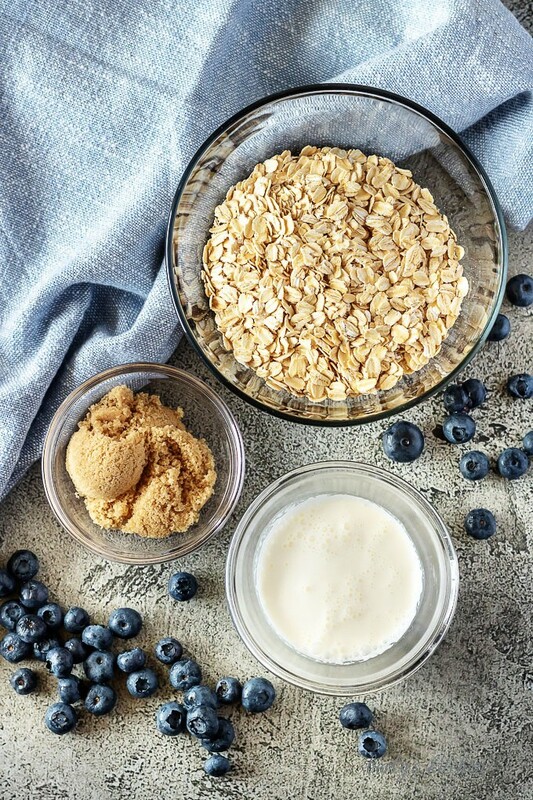 Either way, milk is a guaranteed way to add a creamy texture to oatmeal. Yogurt is another great option. After the oatmeal has cooked, add your favorite plain or flavored yogurt. Not only will it add some creaminess, it creates a whole new texture! First, in a medium saucepan over high heat, combine the sea salt and water and bring the mixture to a boil. 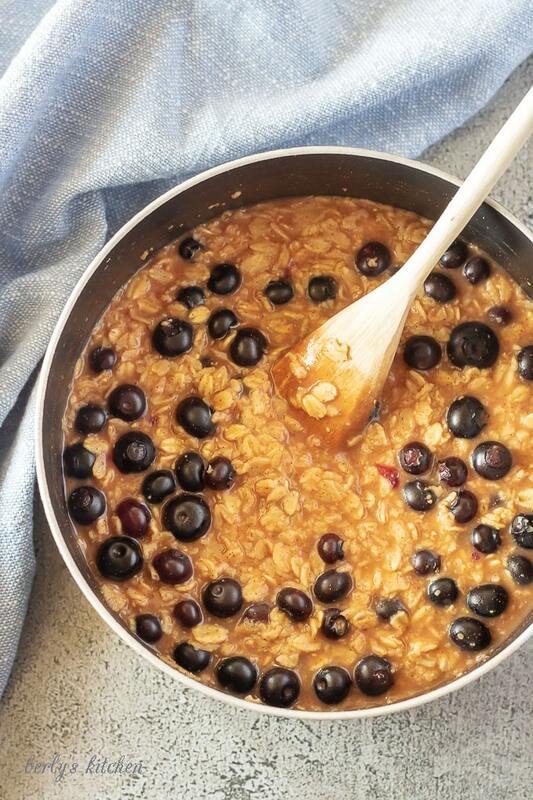 Next, reduce the heat to medium and add the oats, ground cinnamon, brown sugar, and blueberries. Then, stir everything together and let the oatmeal for cook 4-6 minutes or until done. Last, remove the pan from the heat and stir in the vanilla extract. Scoop the oatmeal into bowl for serving. 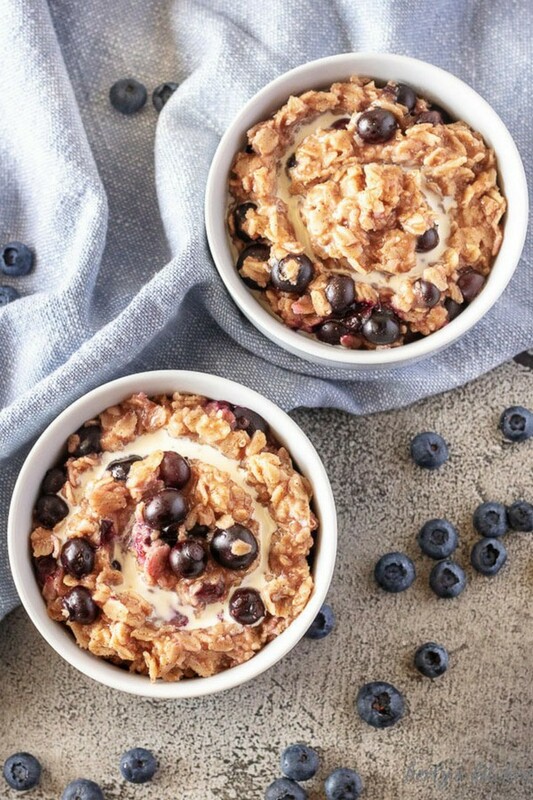 Drizzle the heavy cream over the finished blueberry oatmeal and enjoy! All the recipe ingredient amounts are by volume. The calories listed are an approximation based on the ingredients and 1-cup servings size. Furthermore, it does not reflect the addition of fresh blueberries as a topping. Actual calories will vary. Serve and eat immediately, storage is not recommended.